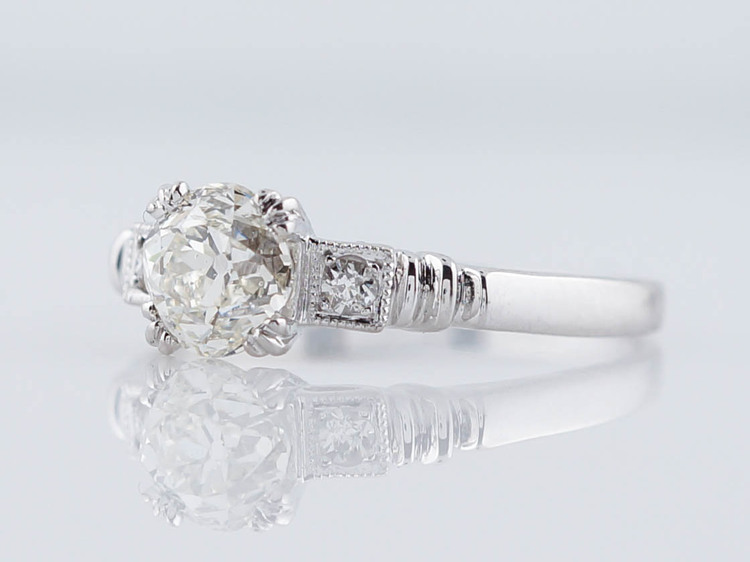 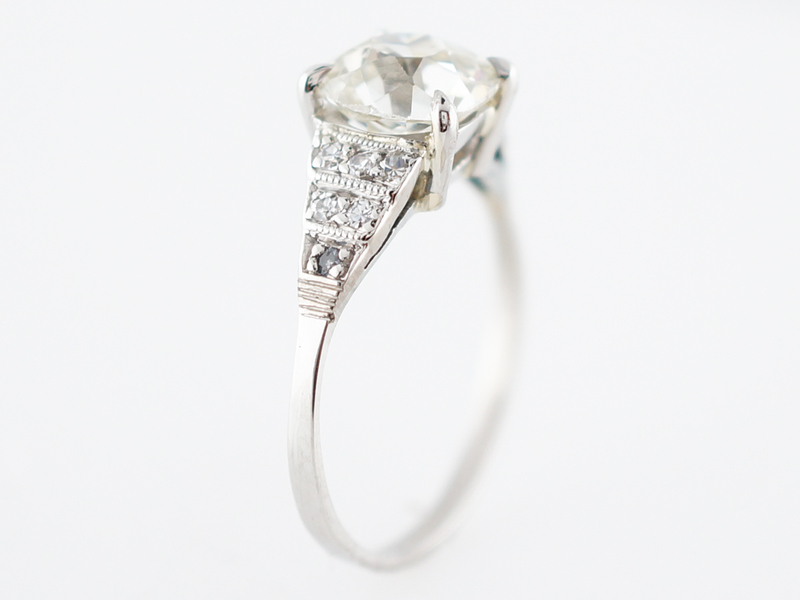 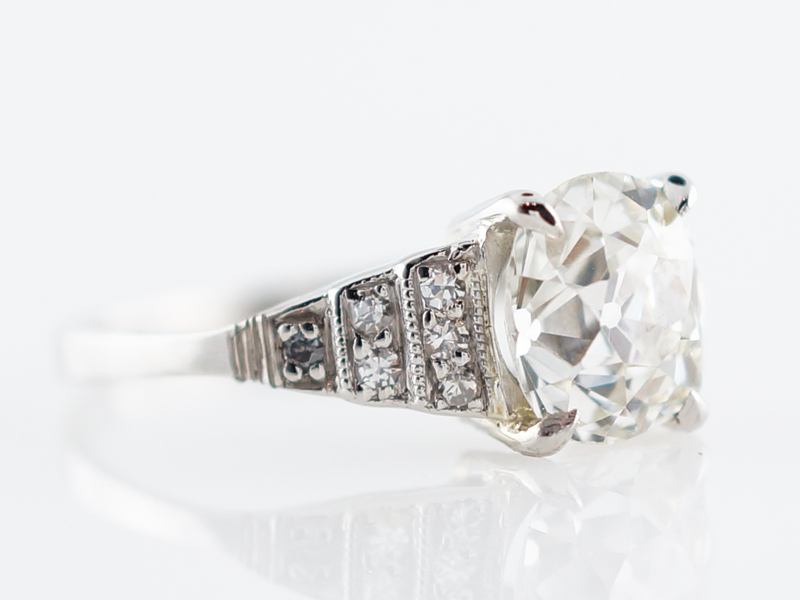 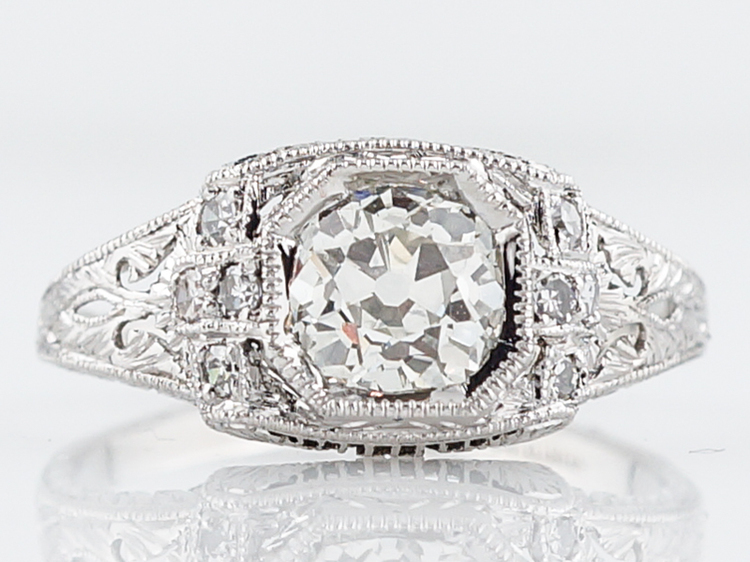 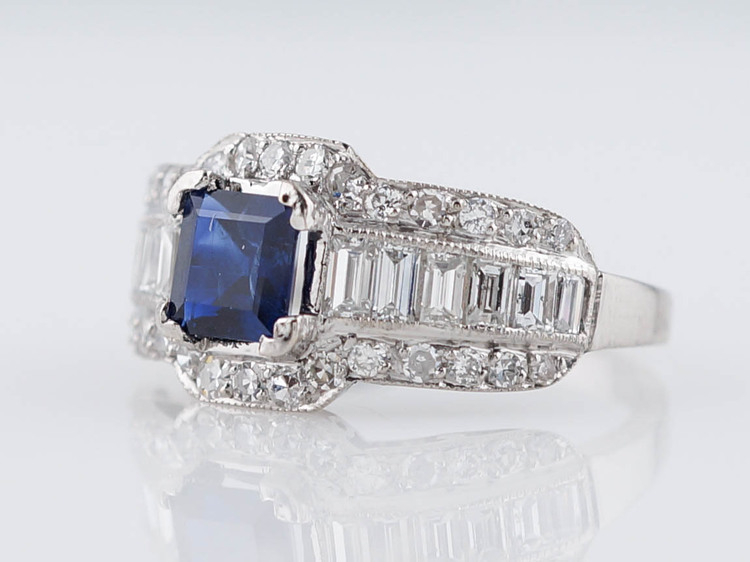 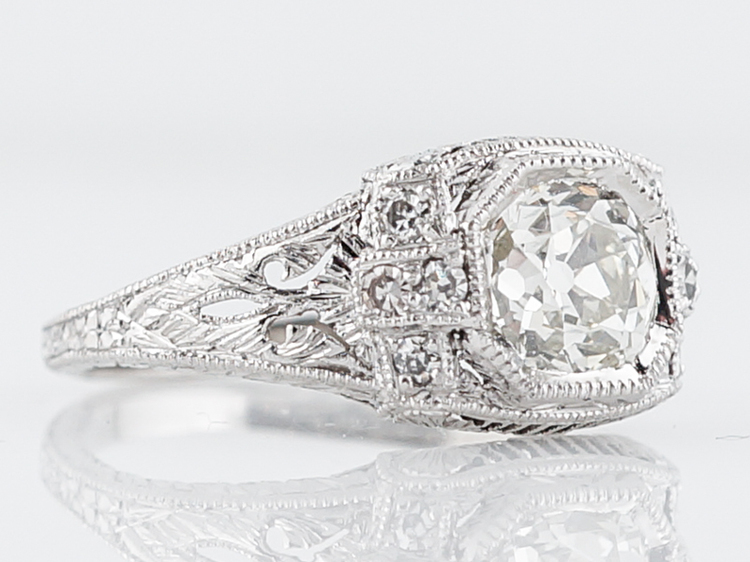 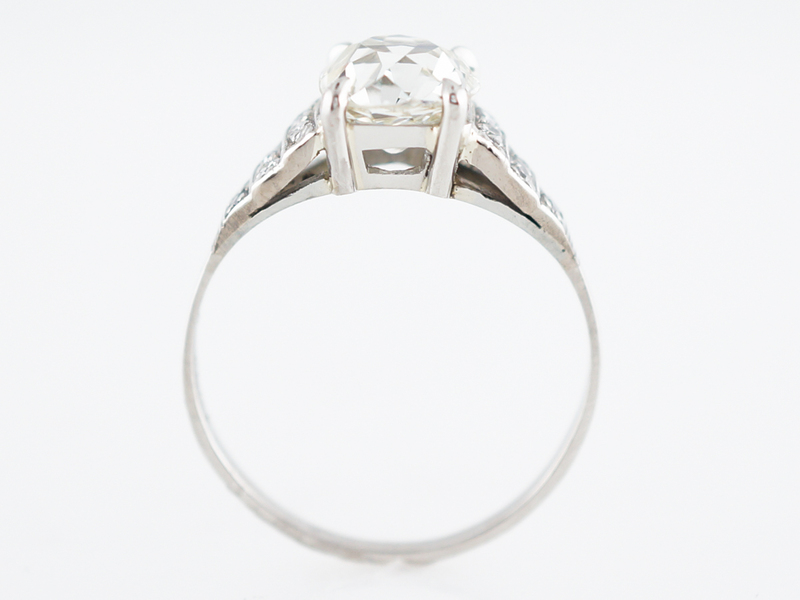 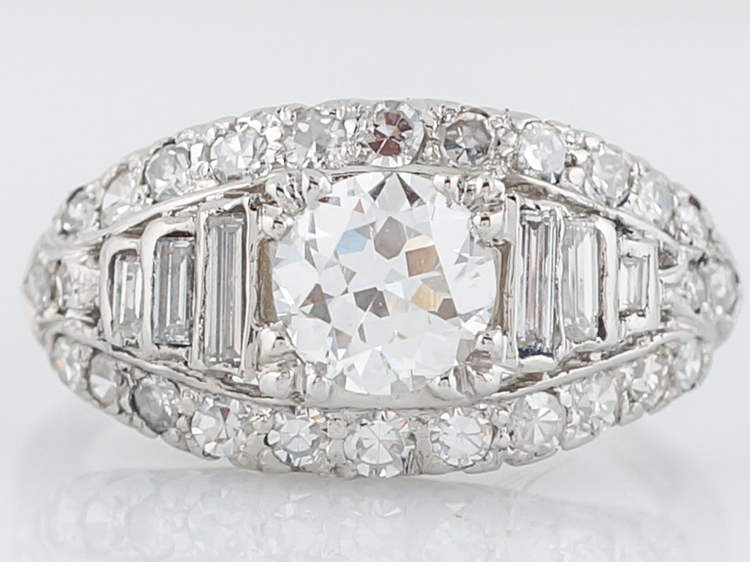 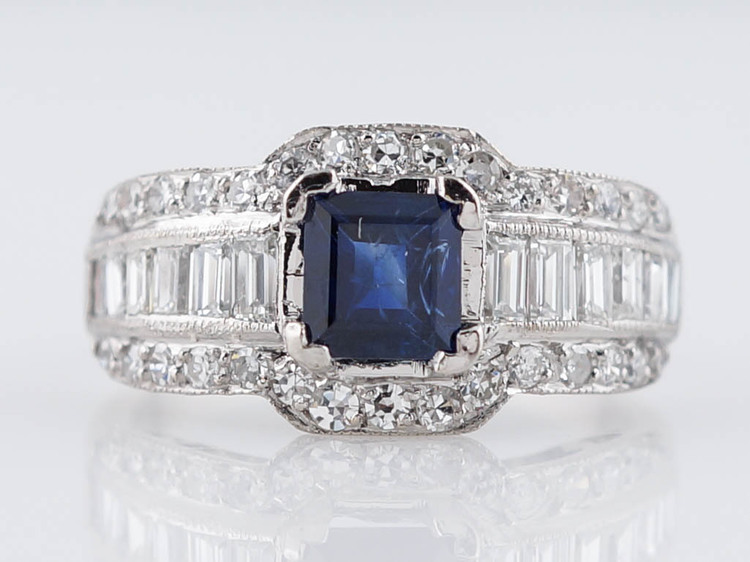 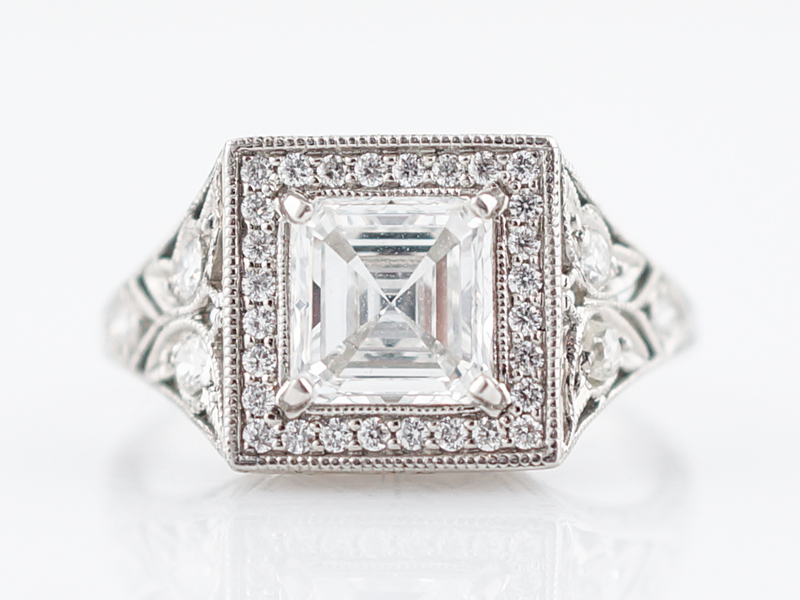 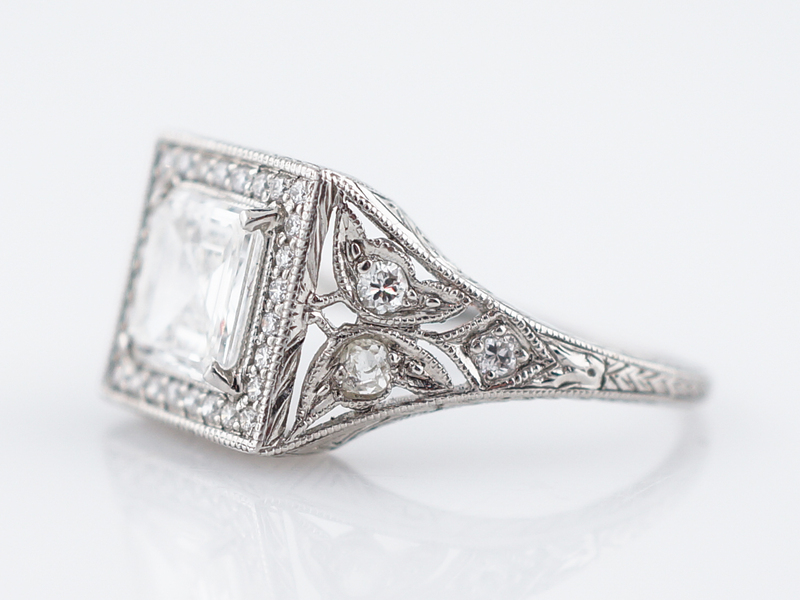 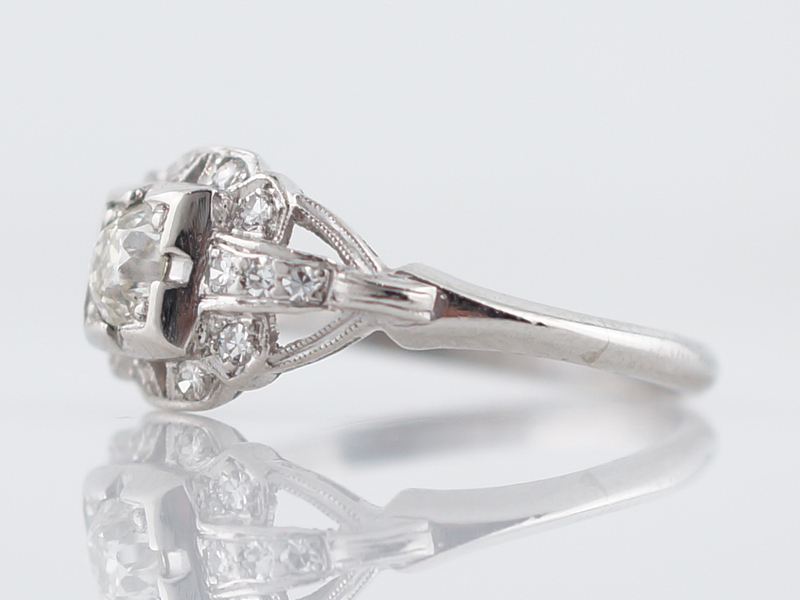 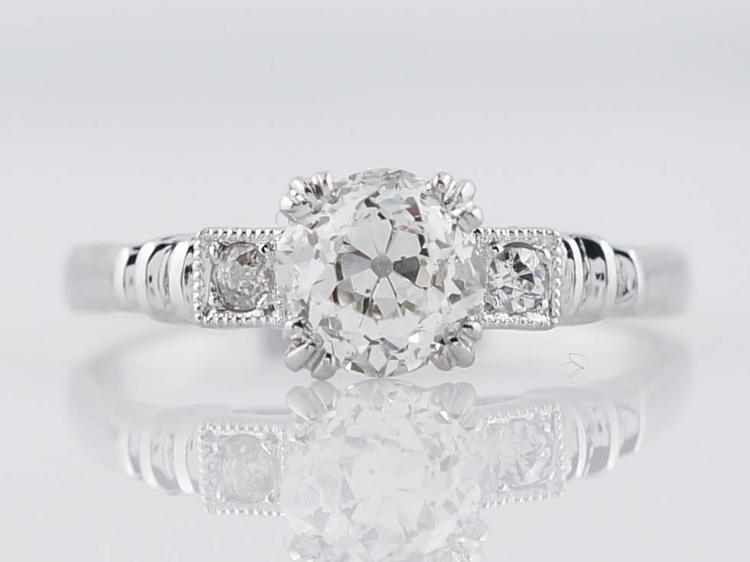 This original antique art deco engagement ring features a gorgeous cushion cut diamond. 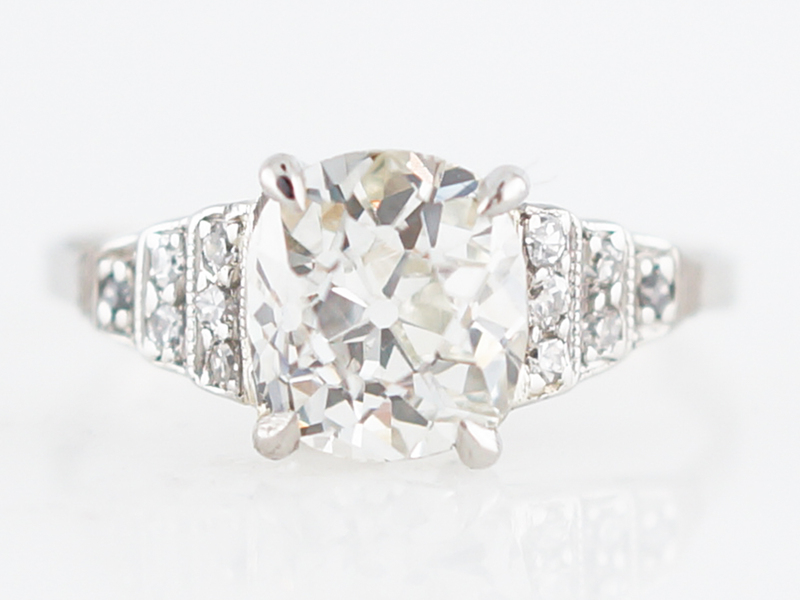 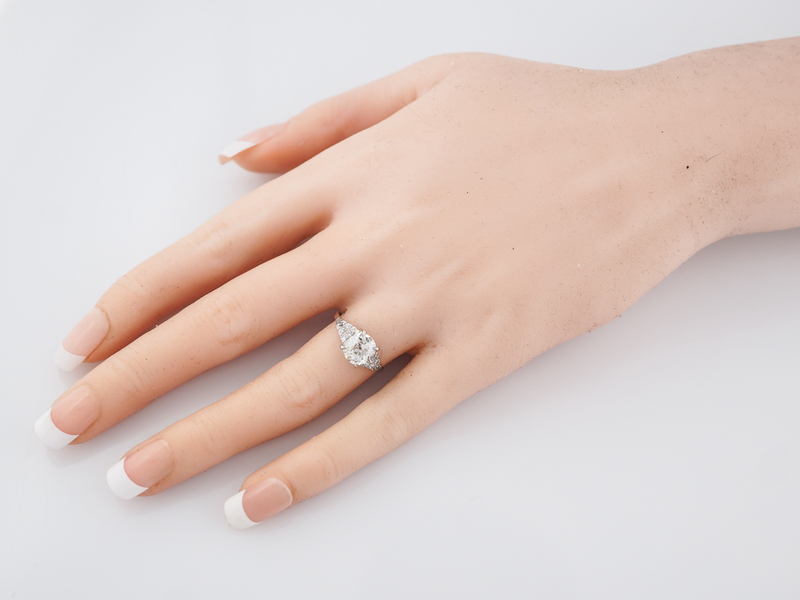 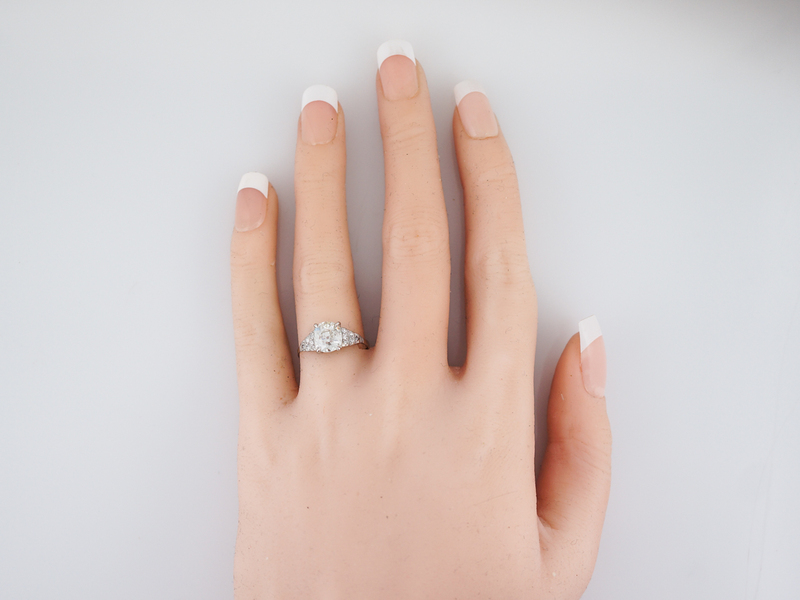 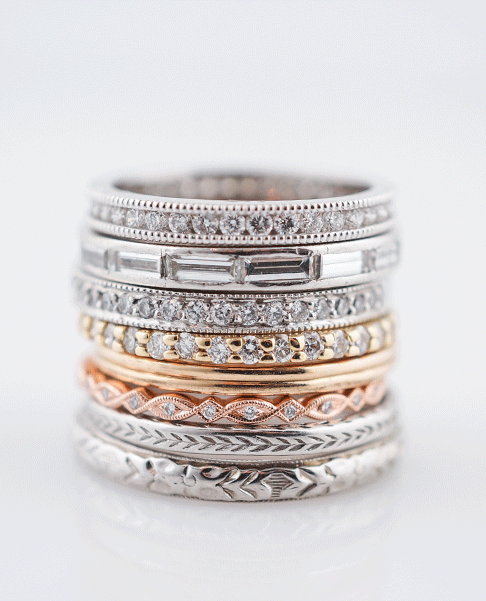 A great alternative to a traditional round cut, a cushion cut offers something different. 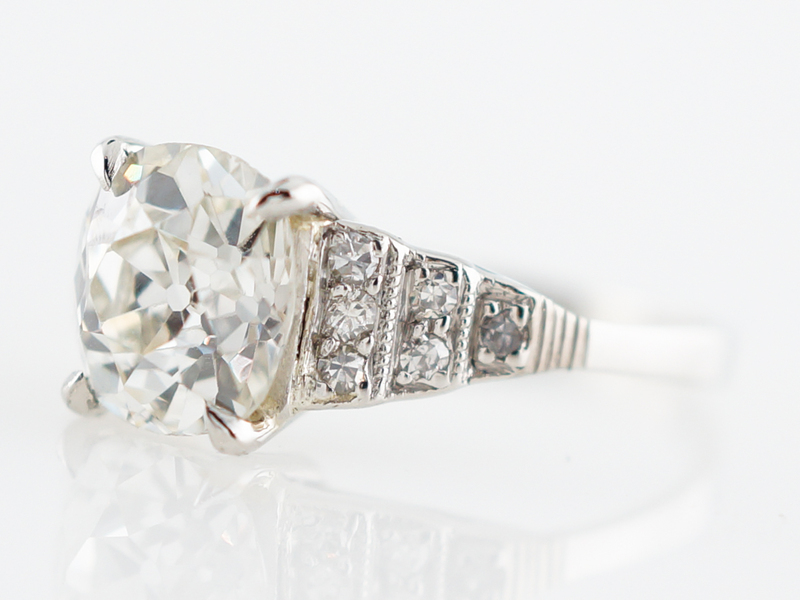 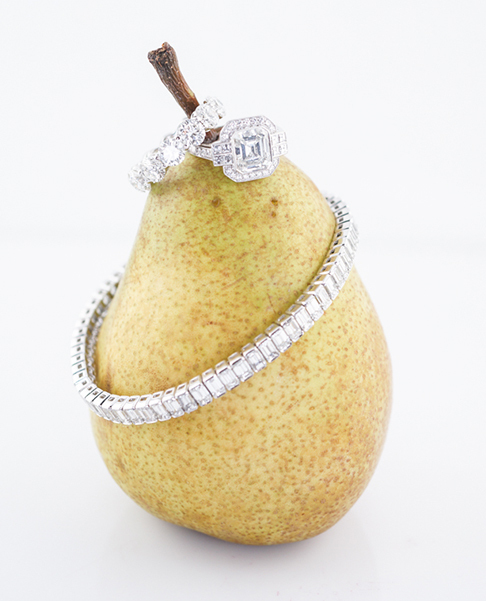 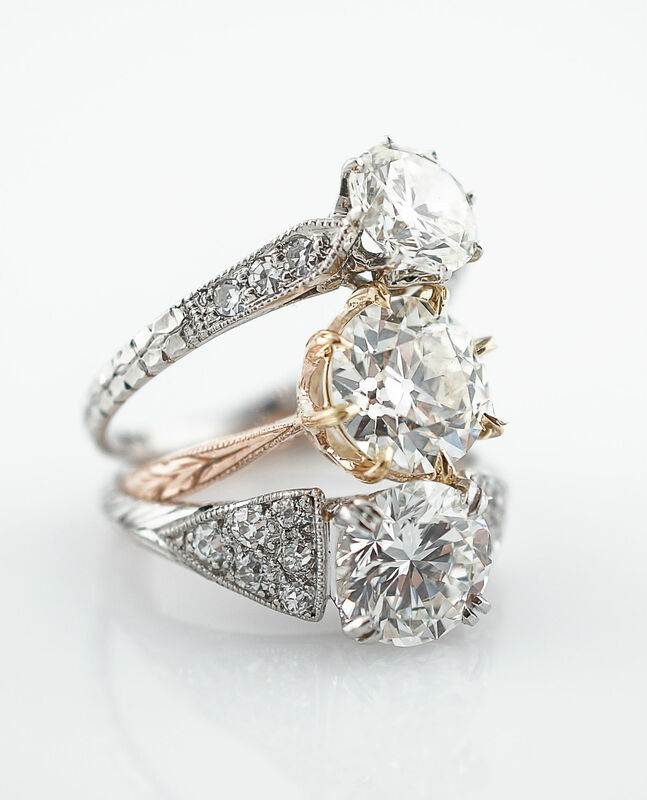 The center diamond is held in place by four prongs that allow light to bounce through the stone from all angles. 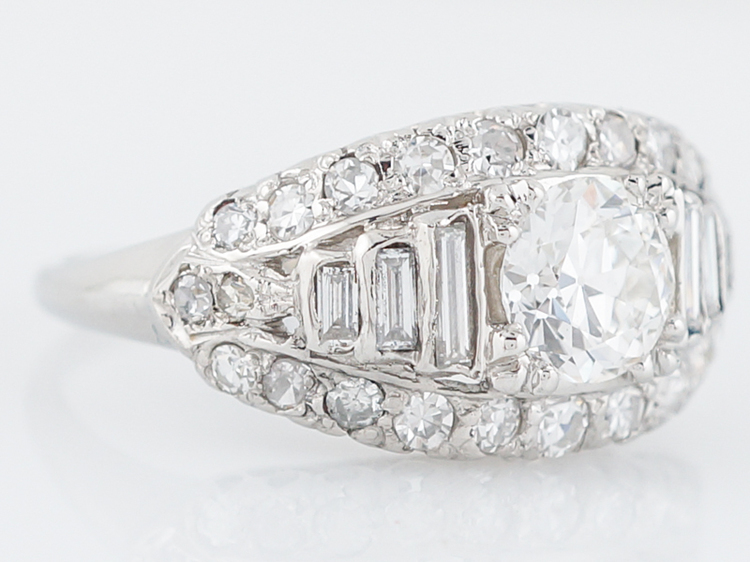 Twelve (12) single cut diamonds accent the center stone and are set in a graduated “step” design that is both elegant and functional. 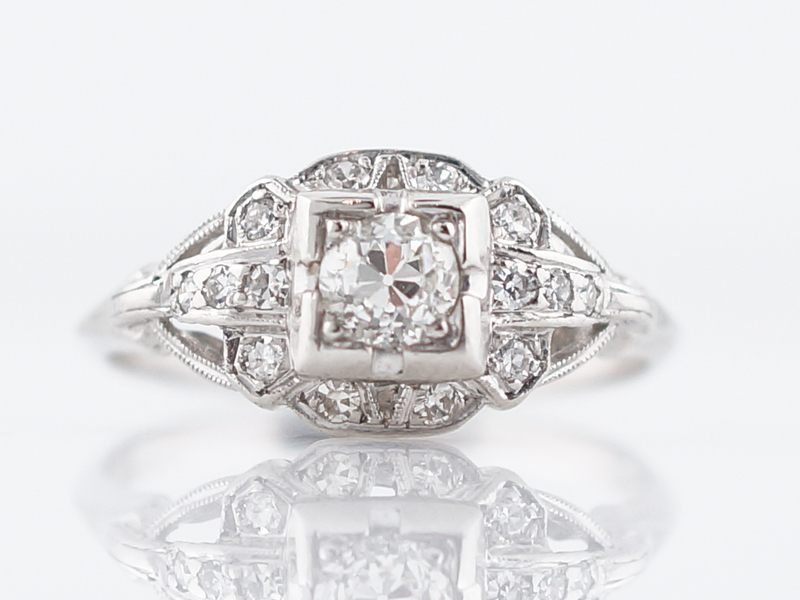 A true art deco stunner!